Tennis rules. We would play tennis all the time, if we could. We love it that much. It's good to be outside and move indoors, if necessary. While we are located conveniently at Kennett High School and Avon Grove High Schools, we are also indoors at Hockessin Indoor Tennis Club during cooler weather! Our summer camps are at Somerset Lake. Why don't you join us for some fun on the courts to get some physical exercise, and relieve some stress? Even though our clinics are at the Hockessin Indoor Tennis Club, you do not need a membership to join us! We have clinics with lower prices and no fees - it's just great tennis. Our schedule of spring and summer classes and camps is also online. We have something for EVERYONE. Tony's Tennis Camp is the place for you! Check out our Leagues page for more information about the Leagues. Tennis is a sport for everyone. Whether you're learning to hold a racket for the first time or if you're striving to excel at your game, Tony's Tennis Camp is the ideal environment for you and your game. Our industry recognized staff will help you achieve your goals. Did we say industry recognized? Tony DeFelice was awarded the 2015 Citadel Heart of Learning Award for Avon Grove for his committment to teaching. He was also the 2011 USTA MS Delware District USTA League Captain of the Year. He was also named as the 2009 Pro of the Year by the United States Tennis Association (USTA) - Philadelphia District. Come let us show you what makes Tony's Tennis Camp a great place to learn and play! Tony's Tennis Camp offers classes year round with special indoor clinics in the winter and camps in the summer. We work with students of all ages so don't let the kids have all of the fun. Tony's Tennis Camp has a wide offering of adult lessons which are conveniently scheduled in the evenings. We live on the courts! Join us at a time that is convenient for you! We also have special events, such as "Men's Morning Out," "Double Trouble," "Shot of the Week," and "Beginners" sessions. Check out our League page for more information. We're proud to announce that our classes are now being offered on multiple set of courts! Take a look at our schedule and locations to find the course that is perfect for you! Come learn how to play the game in an atmosphere of fun and good sportsmanship. Check out our Schedule of classes to learn more!! In addition to offering classes, Tony's Tennis Camp provides maintenance services for racquets. We provide stringing and replacement grip services - all with next day service! To find out more, visit our Services page. Download our current schedule and registration form, which includes all of our sessions! 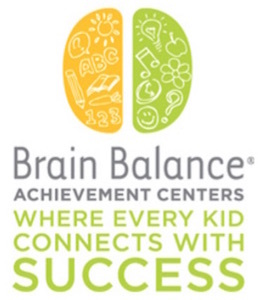 our friends at Chadds Ford Climate Control, Brain Balance Achievement Centers, and Premier Dental! the Love of the Game to you. Please, consider supporting our friends at Bev Michel Photography, Brain Balannce Achievement Centers, Chadds Ford Climate Control, and Premier Dental.